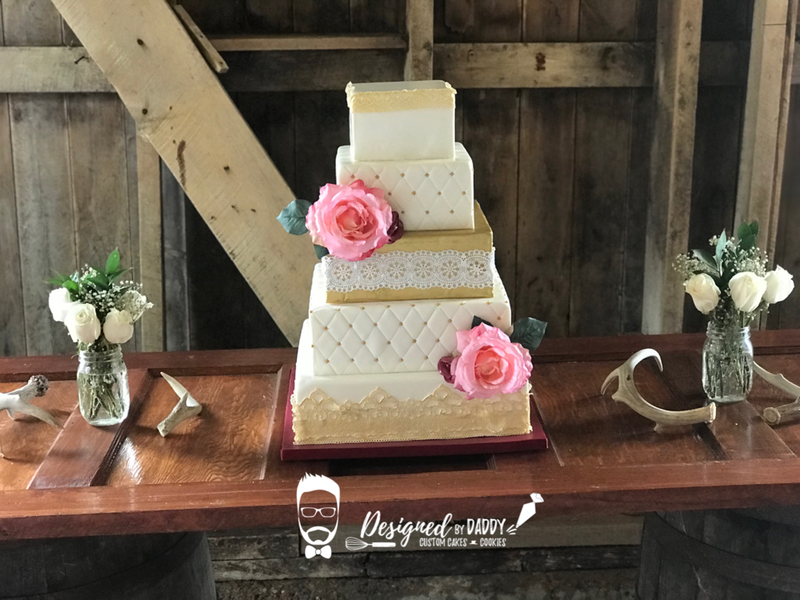 Thank you for considering Designed by Daddy to make your custom wedding cake. All of our cakes are custom made for your celebration and will be an amazing centerpiece for your wedding. Please browse through our gallery here to see our work and please contact us at the "Request a Consultation" button above.